On Friday, you've got this guy being murdered. You know? This guy who you've placed all of your hope in, you've left everything behind to follow Jesus and now you see him being nailed to a cross. What did the disciples feel? And what were they thinking? What were they feeling? And of course, we know a big part of what they were feeling was fear. They were afraid. They were afraid for their whole lives. They were afraid for what was gonna happen next, they were disoriented. And what does it feel like to be that disoriented? If Jesus had not beaten resistance, there would be no Easter. Spend some time in quiet reflection today. If you can, schedule some time during the three o’clock hour, when Jesus died on the cross. 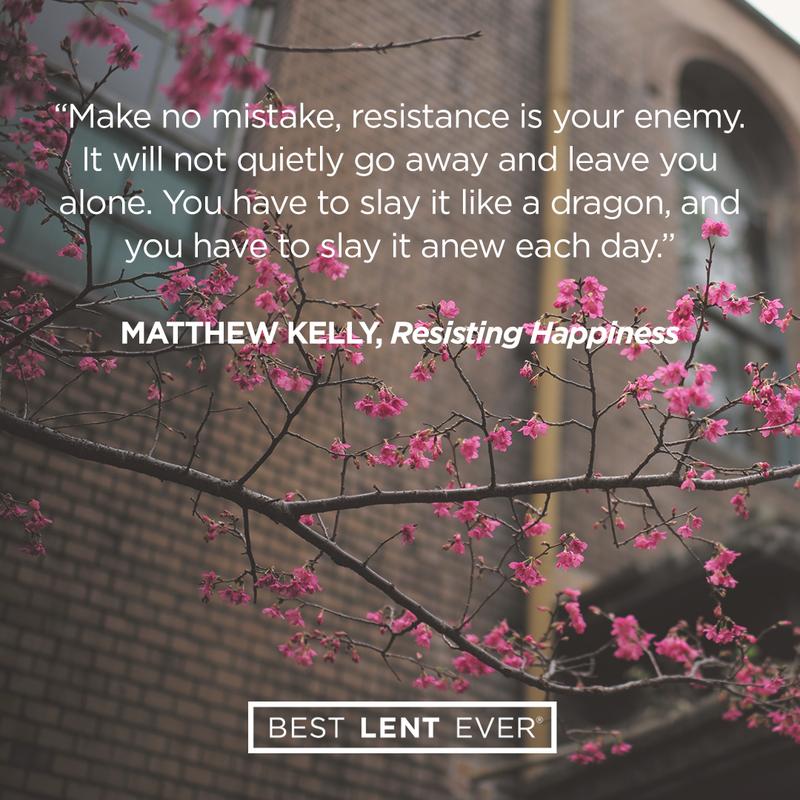 As you read today’s Gospel and reflect on Jesus’ passion and death, consider how he can inspire you to battle resistance in your own life. Today’s personal reflection features Dynamic Catholic team member Shawna Navaro. Shawna is our brand manager, coming to us from Lubbock, Texas. Shawna’s go-to footwear is a good pair of leather boots, one of her fondest memories is seeing Pope Benedict wave to her in Rome, and she may have inherited some of her father’s karate skills (he was the 1977 National Karate Champion). How has Jesus on the cross inspired you to battle resistance?